Office Cleaner - Zuppa Malaysia - Office pantry supplies, healthy snacks, coffee machines and more. If cleanliness is next to Godliness, then the offices Zuppa cleans must be in heaven. This is how we do it. We’re flexible and we can customise cleaning schedules that fit your office. Just give us a call! Clean and flexible. Go for our one-off cleaning session. We are not satisfied until you are. If you are not completely satisfied with the cleaning, we will RECLEAN FOR FREE*. *Only up to one reclean for each cleaning session. 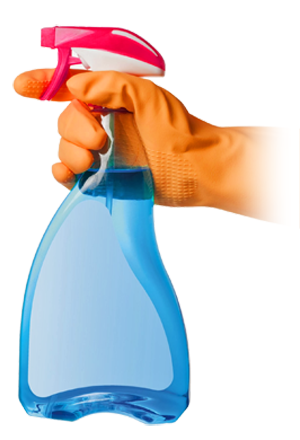 Reclean will be arranged within 5 working days, by same or different cleaner. If not possible to arrange, a refund for only that session will be provided. Not applicable to one-off session. 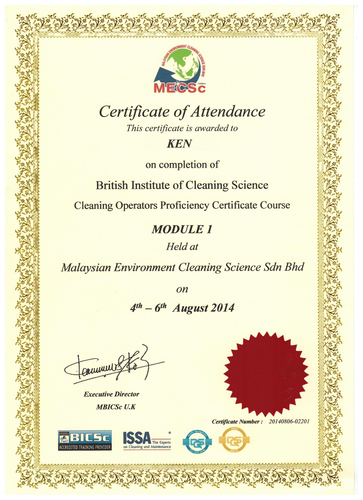 Our cleaners are trained by BICS (British Institute of Cleaning Science) certified trainer. You can see the certificate here. We don’t only clean, we sanitise as well. Your office will be dust-free, dirt-free and germ-free.